If Commercial Real Estate Investing were easy, everybody would do it. Successful investing requires hard work, resourcefulness, and sometimes luck with market timing. However, taking the time to carefully pursue properties with a well thought out investment process can produce some incredible returns. Following these 5 core investment principles can eliminate many mistakes and increase the chances of a successful investment outcome. It’s important to research and understand the target market area and local property values before making an investment decision. Property valuations can experience large price differences with even minor changes in property location. Focusing on how a certain property type is valued in a specific sub-market area, will allow an investor to recognize when a property is over or undervalued. An investor should be able to roughly determine the market value of a property based on recently sold properties also called comps. Property comps are compared in a variety of ways to the subject property to reach a valuation. Income producing properties such as Multifamily, Office, and Retail properties are typically valued based on the income they produce for a buyer. Land or non-income producing property is usually valued based on the recent prices buyers have paid for similar properties. Investors can compare property statistics such as Price/Sq.Ft., Cap Rate, Price/Unit, and Gross Income to better determine a property’s market value. An investor should have a clear understanding of what other buyers have recently paid for similar properties and what a buyer would pay for the current property under consideration. Protecting the downside means understanding the potential consequences if an investment does not go according to plan and determining if the consequences are acceptable compared to the potential profit expectations. For example, an investor plans to purchase an incoming producing property with the expectation of rents rising 3% a year for the next several years, after which the investor will sell the property for a profit. What happens if the economy declines along with property rental rates and a higher vacancy rate? Will the property still produce enough income to cover expenses and make payments on the loan? If a loan is due in 5 years will the owner be able to refinance or sell the property? Thinking through different scenarios allows an investor to determine if the potential risks are acceptable and the downside is protected. A margin of safety exists if the investment can maintain profitability despite the occurrence of unanticipated negative events. A large margin of safety helps ensure the downside is protected and that the investment maintains profitability. If an investor can reasonably conclude that the downside is protected with an adequate margin of safety, they will be more confident moving forward with the deal even though risks and market uncertainty remain. After analyzing the potential downside, investors should consider what changes may occur during the investment holding period. Anticipating what market changes may happen in the future is never easy, but being correct can deliver superior investment returns. Imagine during the financial crisis in 2008-2009 if an investor anticipated a future increase in apartment demand would result in strong rental rate increases. Or perhaps an investor expected property cap rates to decrease due to the easy monetary policies pursued by the Federal Reserve. Both correct assumptions would have provided extraordinary returns if the investors acted on their market views through buying commercial income properties at current market prices. Even If an investor happens to be wrong in anticipating future market changes, which may often be the case, protecting the downside through an adequate margin of safety may still result in a satisfactory investment. Having an exit strategy is important for managing an investment with clear goals. It certainly makes more sense then buying a property and simply hoping for the best. The typical holding period for commercial investment property is between 3 and 7 years. An exit strategy will outline the projected project returns and a timeline for the return of investor funds during the holding period. Multiple exit strategies can be helpful in reducing risk and adapting to changing market conditions or unexpected events. One example of having multiple exit strategies could apply to the purchase of an apartment building with a primary exit strategy to sell the building after a five year hold period. In the event the apartment rental market crashes, a secondary exit might be converting the apartments to for sale condominiums to take advantage of the stronger for sale housing market. Thinking creatively about different exit scenarios upfront can protect against investment losses and maximize returns when things don’t go as planned. Exit strategies should be reviewed regularly and change if necessary depending on current market conditions or an updated analysis. After thoroughly analyzing potential properties while following the first four principles, an investor needs to make a decision whether or not to do the deal. Investment decisions should never be taken lightly, and considerable work should be completed before purchasing any property. But many investors can fall into the trap of expecting a better deal to be just around corner. There are no sure things in real estate and it’s easy to find at least a few reasons not to do a deal. If the analysis shows a reasonable expectation for satisfactory returns along with adequate downside projection, an investor should have the courage in their convictions to move forward. When experienced investors are asked what their biggest mistakes were, they often point out the deals they decided not to do that in hindsight would have been very profitable, rather than point to the investments they made that lost money. A great investment can provide long term returns that can make up for some poor investments or mistakes. All investors will make mistakes at some point given they continue to play the game. The only way to guarantee not to make a mistake is never to play. 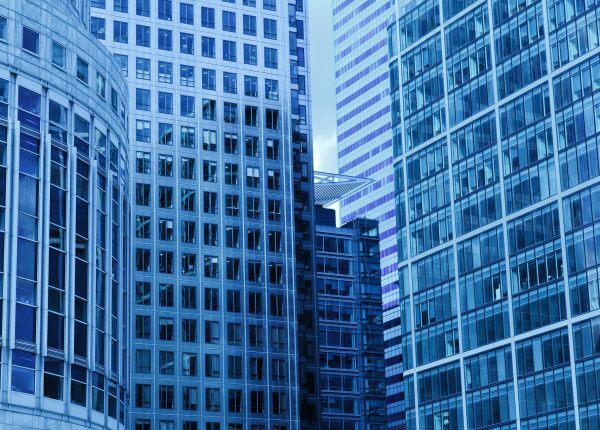 Commercial real estate investing consists of a delicate balance between selective analysis along with the courage to take on acceptable amounts of risk and uncertainty. Investors driven to achieve this delicate balance can receive substantial financial returns through commercial real estate investing.